You are here: Home / Newsroom / Is Amazon Ripping Me Off? Is Amazon Ripping Me Off? Amazon is so synonymous with books in the mind of the public that many see them as a public utility when it comes to bookselling. It is the first, and sometimes only book retailing outlet new publishers and self-publishing authors use to sell books and Kindle eBooks. So when it comes to the business of selling and promoting books, many indie publishers are aghast at what they consider “unfair” or “usury” Amazon business practices. The reality is that many of these policies and practices can be found throughout retailing and publishing. Granted, in some cases us publishers are subjected to policies and practices that go outside what we consider the bounds of fairness. Amazon does have a stranglehold on book selling and they are not shy about using that market power (see #5 below). But in an effort to clear up misunderstandings, misinformation and manage expectations, here is a list of 12 frequently asked doing-business-with-Amazon questions I receive from individuals new to selling books on Amazon. 1. How do I stop Amazon from discounting my book? 2. Why does Amazon Advantage take 55% of my book’s retail price? It’s outrageous! Welcome to the publishing industry. The standard discount you will need to give a bookstore to stock your book is at least 40%. Wholesalers take an additional 15%. In this case Amazon simply says they are acting as the retailer and wholesaler so they will take 55%, thank you very much. If you want to sell books to bookstores, be prepared to give up 55%. 3. Why is my royalty so low for my CreateSpace book? Think of CreateSpace as the printer, and Amazon (who owns CreateSpace) as the retailer. Subtract 40% from the retail price as the sales commission for selling on Amazon (no wholesaler commission in this case). Then subtract the printing costs. More here. 4. How do I stop Amazon from selling used copies of my book? Similar to Ebay or any number of used bookstores, Amazon provides a marketplace for anyone to sell used books. As long as your physical book has an ISBN, anyone can sell it on Amazon. 5. Why does Amazon charge me a fee to deliver Kindle eBooks to customers? No one else does this. Research and experience has shown that providing samples is an important promotional tool. This is an example of trying to duplicate the experience of a physical retail store where you could conceivably read the entire book without buying it. Amazon’s 10% sample is in line with other stores. 7. Why won’t Amazon tell me who buys my books? Like any other retailer, the person that buys the book is Amazon’s customer. If you want to build a customer list you will need to become the retailer of your own books. 8. Why doesn’t Amazon promote my book? The short answer is that like any retailer, Amazon promotes stuff that sells, or if they have been paid to promote it. The trick for indie publishers is to create enough activity and purchases so that the Amazon algorithms—the software programs that look for such things—show your book to shoppers. Promotions can include best seller lists, hot new releases, email newsletters, additional categories, and so on. 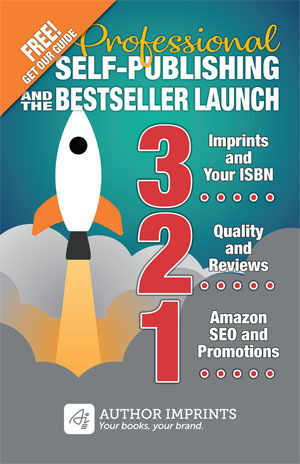 For Kindle publishers you can also join KDP Select which has three self-service promotional options, two free book promotions and an advertising program. The more you sell on Amazon, the more help you’ll get. 9. I paid to print a bunch of books and now Amazon Advantage only wants a few at a time. Why won’t they take them all? Advantage is a consignment program so they stock only enough books to satisfy demand. The more books you sell, the more they order. Conversely, they return books that don’t sell (a potentially expensive proposition!). 10. How do I get my book to show up at the top of the search results when someone types in the title or keyword? Several factors influence the Amazon search engine (A9) with regard to where books show up in search results. The first big assumption is that you have optimized your keywords, categories and 6 other search fields for words people actually search for. With that as the starting point, your book’s ranking depends on how well it is selling at any given point in time, and how many other books are competing for the same search terms (book title, subtitle, keywords, etc.). As you see to the right, there are literally millions of books on Amazon, and the number grows every hour. Indeed, I and many others consider this unfair for some books. It’s another example (IMHO) of Amazon using their market dominance (like charging delivery fees, see #5) to encourage sales and build market share by incentivizing self-publishers to price books between a certain range ($2.99 and $9.99). I suppose we can take solace in the fact that customers never own our books and cannot resell them, thereby eliminating the used market. More here. 12. How can I instruct Amazon to sell one of my books at a discount if someone bought one of my other books? I actually got this question from a self-publisher and he refused to believe that he couldn’t tell Amazon how to sell his books. Perhaps large publishers can make this kind of an arrangement but unless Amazon has implemented an online tool to support it, promotional tools are limited to what you can do in the self-service portals like KDP and Advantage. As I said at the beginning, Amazon has done a good job of convincing us they are the Internet’s official retailer. Nowhere is this more true than it is in book retailing. So when it comes time for us peeps to be a seller rather than a buyer, we forget for a minute that they are no different than any other retailer in America. My biggest problem with Amazon is that they only remit royalties when they reach $100. Like most POD authors I sell very few copies, this means that Amazon can withhold my royalties for months, or possibly never pay them. It’s virtual theft. If you elect to get paid by check, you are right. But who does that!? All of our clients get paid via EFT to their bank so that if it is even a dollar, that’s the royalty they get deposited. No waiting for $100 so no virtual theft. My book was self published by me on xlibris, in the first year I got 11 dollars. Now Amazon has been prompting my book but they did not get permission from me. I never even heard from them, I just saw the advertisement on their web site. I am angry, My husband co author is recovering from an operation. I wish they had contacted us. We had not the money to publish by the thousands. They wanted 2000.dollars to publish 500 books. Qur names Paul and Phyllis Gibson. This is not an Amazon issue. You need to take this up with the publisher, Xlibris, and read your contract with them. The parent company is Author Solutions, another company you can contact. If you get the rights back, or publisher another book, it’s a snap to setup your own author imprint so you be listed as the official publisher and avoid situations like this. That’s how we help authors and they retain 100% control at all times. Best of luck Phyllis. EFT payment is not available to Canadian authors. So, no choice but to wait for $100 in royalties. ALSO, books sold on Amazon.ca are printed by Createspace in the US and actually shipped by Amazon.com, which makes Canadian purchasers pay exchange rates and Canadian sales taxes. So the Canadian customers get hit twice. Ouch. Thanks for sharing this, Kristi. I’m not aware of another option. Btw, you can print a mailing label and a packing slip. It is clear to me that Amazon offers unmatched visibility and access to buyers but also has serious potential pitfalls, so I would very much appreciate your guidance. I recently finished a photo book which is being published in Colombia (South America), where I live, and printed at a high-end press in Spain. The publisher has no international distribution so I am considering sending 100 copies (from the print run of 1,000) to Amazon under their advantage program for distribution in the USA and/or Europe. The list price of the book in Colombia is equivalent to US$40. I would be happy to pay Advantage’s annual US$99 fee and 55% of royalties in return for a trouble-free selling process. The ideal solution would be to send the 100 copies to a single address and let Advantage do the rest, selling it close to the retail price. My question is whether — and how — I could achieve this. As I understand it, Advantage could: set the purchase price so low that I might end up losing money after all the fees; require that I send unspecified numbers of copies to several different distribution centers at unspecified intervals; send out copies to buyers for unspecified shipping charges that I would have to pay; charge unspecified storage fees; send back copies at any time, again for unspecified shipping charges. There may be solutions to all these snags, but right now I am not sure what they are or where to find them. There are Advantage programs for different countries, not one that serves the world (US, CAN, UK). So you can’t get worldwide distribution from one account setup. You set the price but they can discount. Regardless, you get your price. It may take some research but it seems to me that it would be better to partner with a US based publisher, one aligned with the subject matter and your goals. They can do warehousing and have distribution relationships.